We spent a night at Everglades National Park on our way to Key West and decided that we should make it a longer stop as we headed back north. We were so glad we did! 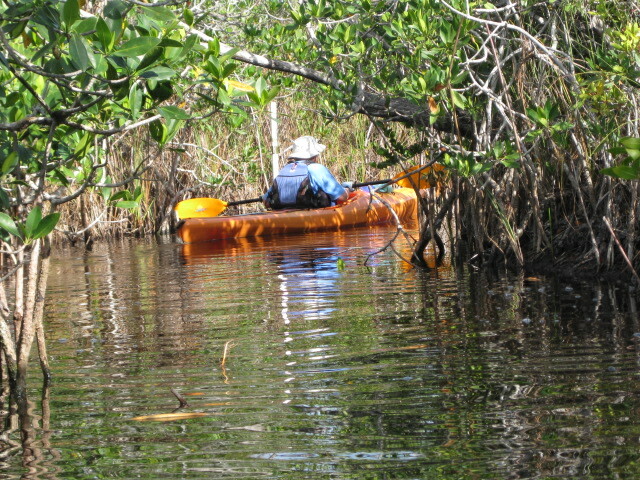 Everglades has two campgrounds. 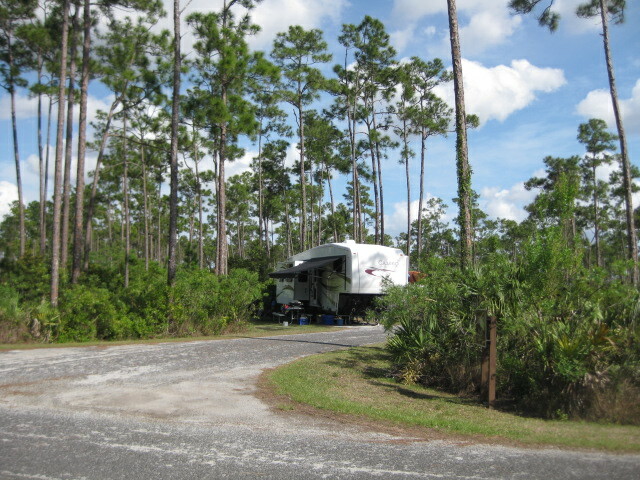 Long Pine Key Campground is the closest to the entrance and has no hookups or showers. 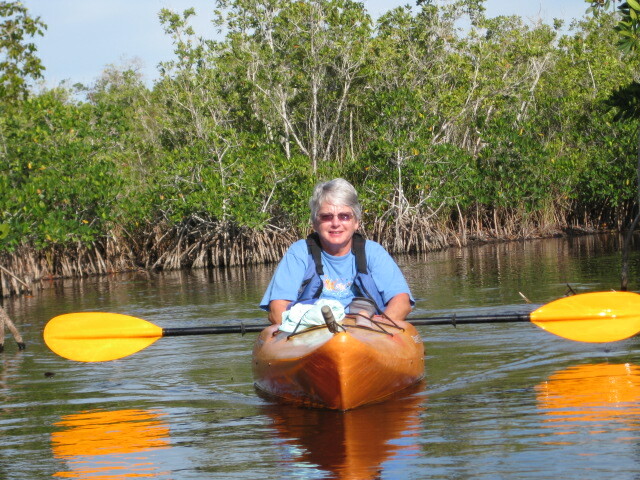 Flamingo Campground is on the southern coast of the Everglades and has some sites with electric and water. There are many Ranger-led activities throughout the park and we took advantage of as many as we could. The day we arrived we went on what is the most unique tour in this park. 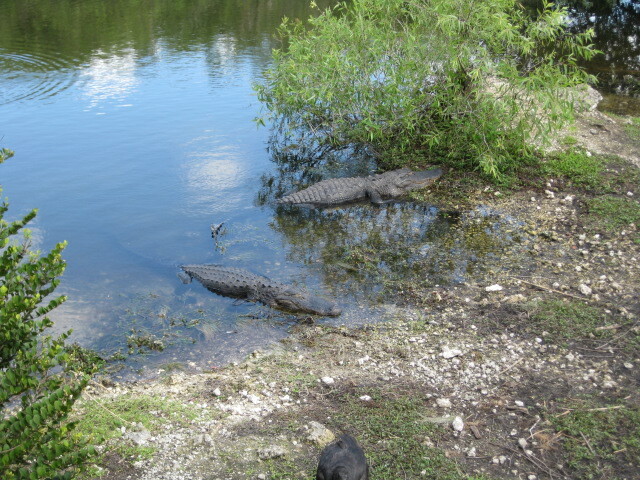 Everglades is a science and nature-oriented park as opposed to some others which are history-oriented. 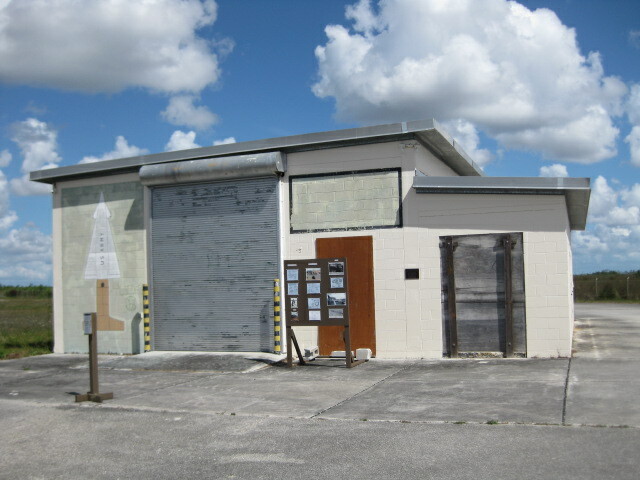 However, Everglades National Park is the site of a Cold War Nike Missile site. The battery that was located here was one of the sites established during the Cuban Missile Crisis and was one of the last sites to be closed down. The National Park Service is still developing the site, but the tour gave you a unique look at this point in history. That night we went on a Starlight Walk. A volunteer led us on the Anhinga Trail by starlight! We saw night herons, fireflies, and lots and lots of alligators. We spotted alligators by using our flashlights to illuminate their eyes. It was an entirely different experience! The next morning we went on a bike hike through the pinelands. 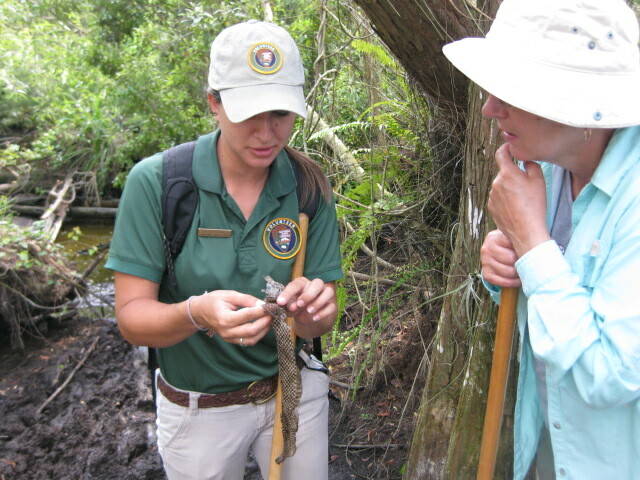 We developed a brand new appreciation of the geology and hydrology of the Everglades. The Everglades are essentially a 15-mile wide slow moving river that starts many miles upstream in Lake Okeechobee. It was amazing how much difference a few inches of change in elevation can make in the land and vegetation. 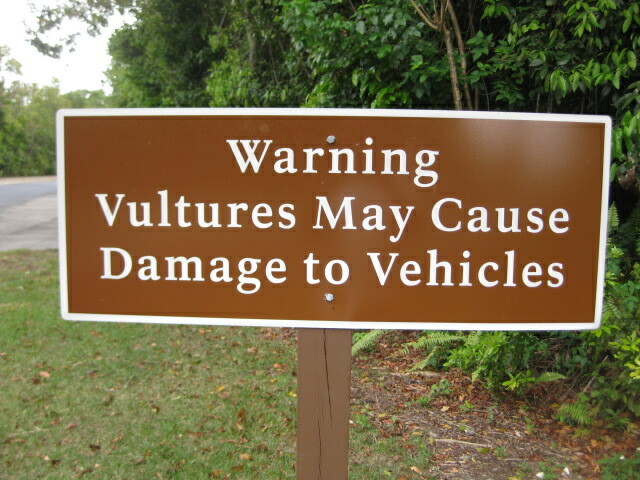 Throughout the park we saw signs warning us about vultures. Apparently there is a problem with the vultures in the everglades, they like the rubber gaskets on car windows! That afternoon we went on a slough (pronounced “slew”) slog. Guided by a Ranger, we waded through the river of grass into the shadows of a cypress dome. There were supposed to be a dozen people on this hike, but everyone else canceled so we had our own personal guided tour! There is so much to see in the Everglades, we saw alligators, ibis, egrets, vultures, and turtles; plants and animals we had only read about we were able to see for ourselves. We had originally planned to leave the next morning, but we were enjoying ourselves so much we decided to stay over another day. Tuesday morning we were up bright and early and headed to Flamingo to try to get on the Flamingo Morning Canoe Trip. We had been told it was sold out but we thought we might be able to “walk on” if someone didn’t show up. We didn’t get on the trip so we decided to kayak on our own. We chose to go down the Hell’s Bay Canoe Trail. It’s called Hell’s Bay because it is hell to get in and hell to get out. The channel was really narrow. There were some times when it was almost impossible to paddle with a double-bladed kayak paddle. Canoes have a definite advantage here. It was a good thing that the channel was marked with PVC poles because without them to guide us, we would probably still be paddling around trying to find our way out! That night we packed up all non-essentials so we could get an early start to head to Patrick Air Force Base and the Kennedy Space Center. We got to Patrick AFB and had just backed into our campsite when we discovered we had a flat tire. We hadn’t noticed any problems earlier on the trip and couldn’t figure out what happened. While Pat did some shopping at the commissary Bob changed the tire and called the manufacturer. The bottom line was that the manufacturer had put some odd named tire on the trailer that apparently was not very good. We called around and made arrangements to replace all of the tires with Goodyear tires on Friday on our way to Savannah, GA. 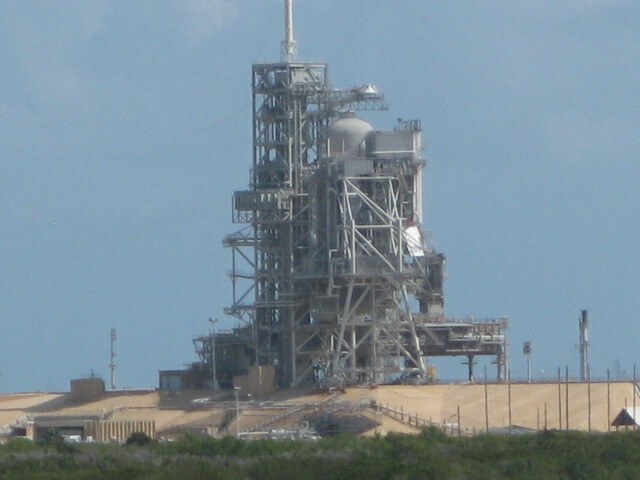 The next day went to the Kennedy Space Center at Cape Canaveral. We had been to the space center on two other occasions and we weren’t sure that we would see anything new. Boy, were we surprised! 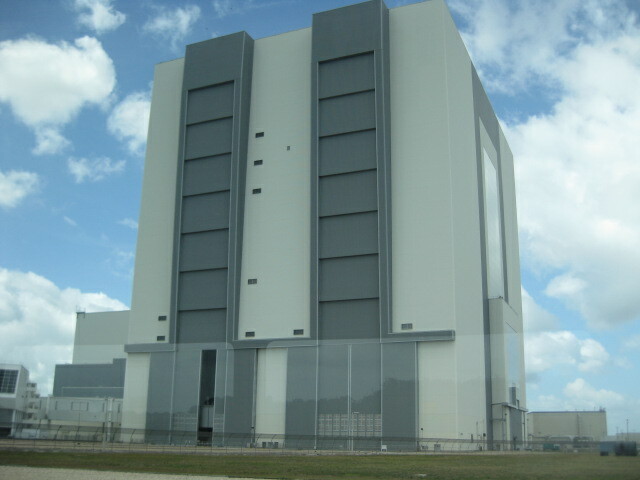 Things like the Vehicle Assembly Building and the Rocket Garden were as they were in the past, but almost everything else was new to us. We began with the Shuttle Launch Experience that takes you through a simulation of a shuttle launch, docking and re-entry. Even for a couple of adults, it was pretty neat. It was here that Bob decided maybe it was time for a career change! 🙂 This was followed by the bus tour of the complex. While traveling from one place to another there are videos played on the bus that highlight events from the history of the space center as well as descriptions of some of the complex’s facilities. There are two stops on the tour. One is an observation tower where you can see almost the entire launch complex, including the launch pads for the Space Shuttle and the Saturn V. The other is the Apollo/Saturn V Center. 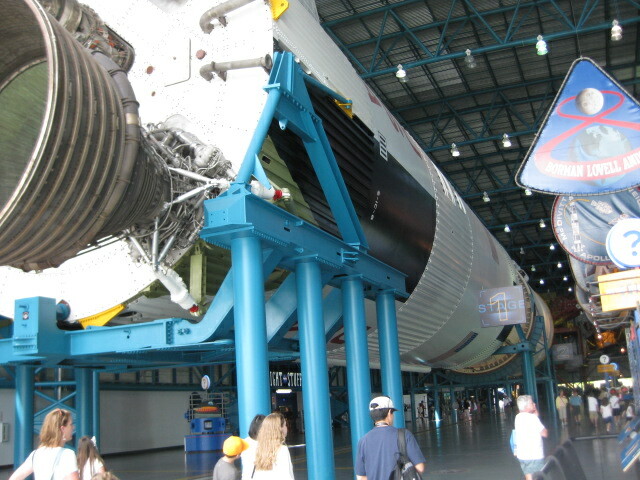 Here you can see exhibits about the space program from the first Mercury missions through the Apollo missions. 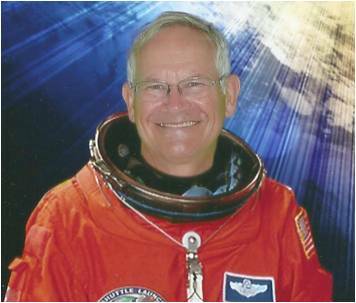 After visiting the Kennedy Space Center, we went to the U.S. Astronaut Hall of Fame. Here we toured a rare collection of astronaut artifacts and saw remarkable displays, exhibits and tributes dedicated to the heroes. From Wally Schirra’s Sigma 7 Mercury spacecraft to stunning glass etchings that line the Hall of Heroes, the United States Astronaut Hall of Fame celebrates the accomplishments of astronauts everywhere. The Hall of Fame brought back memories of when we watched and listened to these events actually taking place. The next morning we were up early; pulled the trailer to the tire dealer to change out our tires and we were on our way to Savannah, GA and the RV park at Hunter Army Airfield. This entry was posted in Florida, Fulltime RV, Georgia, Michigan Traveler, Military RV Parks, South Carolina and tagged Cold War, Cuban Missile Crisis, Everglades National Park, fifth wheel trailer, full-time RV, fulltime RV, Hell's Bay Canoe Trail, Kayaking, Kennedy Space Center, Lake Okeechobee, Long Pine Key Campground, Nike Missile Site, Patrick Air Force Base, Ranger-Led activities, Rocket Garden, RV Forums, Vehicle Assembly Building. Bookmark the permalink.